Neither did we. Just imagine how handy this could be next time your internet connection drops for the umpteenth time and you’ll still have your own local version of Wikipedia available. Hadlee Simons from iafrica’s cooltech has all the information you need. * Never heard of Wikipedia? 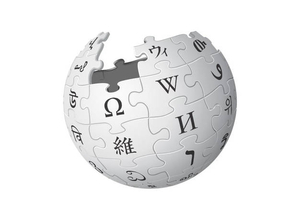 Wikipedia ( i/ˌwɪkɨˈpiːdiə/ or i/ˌwɪkiˈpiːdiə/ wik-i-pee-dee-ə) is a free, collaboratively edited, and multilingual Internet encyclopedia supported by the non-profit Wikimedia Foundation. Its 22 million articles (over 4 million in English alone) have been written collaboratively by volunteers around the world. Almost all of its articles can be edited by anyone with access to the site, and it has about 100,000 regularly active contributors. As of August 2012, there are editions of Wikipedia in 285 languages. It has become the largest and most popular general reference work on the Internet, ranking sixth globally among all websites on Alexa and having an estimated 365 million readers worldwide. Wikipedia was launched in January 2001 by Jimmy Wales and Larry Sanger.Sanger coined the name Wikipedia, which is a portmanteau of wiki (a type of collaborative website, from the Hawaiian word wiki, meaning “quick”) and encyclopedia. This entry was posted on Friday, August 17th, 2012 at 8:29 am	and is filed under Internet. You can follow any responses to this entry through the RSS 2.0 feed. Both comments and pings are currently closed. Is dit nie iets wat mens op die US netwerk moet doen met ‘n ‘off-line’ skakel nie. As elke gebruiker op die US netwerk 8GB gaan aflaai na sy/haar eie rekenaar, gaan dit ‘n onnodige klomp verkeer en onnodige stoor van data meebring?